Injection molding is an aptly-named manufacturing process; in the simplest of terms, it is the method of producing parts by injecting a substance/material into a pre-designed mold. This type of production can be applied with many different materials including metals, glass, and rubbers/elastomers, although various plastics are most commonly used in this process. In plastic injection molding, plastic granules are fed from a hopper to a heated chamber or barrel, where the granules are then melted. The molten plastic is then pushed forward through a nozzle into the custom mold cavity by a screw-type plunger; because the mold is kept at a relatively low temperature, the plastic re-solidifies rather quickly into its new form or shape as soon as the mold has been filled. From the perspective of manufacturers that utilize injection molding, being able to capitalize on any operational or financial advantages afforded by the process are of course contingent on the precision of the mold itself; ill-fitting or inexact parts produced from molds that are not made to specification will simply be unacceptable to their customers and/or end-users. To avoid the possibility of such a detrimental impact on their businesses, manufacturers will find benefit in the precision mold-making capabilities of the specialists from Noble Precision. Noble Precision offers its clients the capability to create precision molds for the production of parts/components ranging from small commercial products to full panels for automobiles and aircraft fuselage. This confidence is founded on Noble Precision’s significant financial investment in state-of-the-art technology, in particular the latest in CAD/CAM software and 5-axis simultaneous CNC machines, thereby providing their clients with the most advanced and precise machining capabilities available. 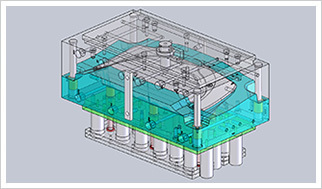 The high-precision molds produced and delivered by Noble Precision will help in ensuring the highest possible manufacturing efficiencies for their clients, including time and cost savings, reduction/elimination of waste, and high-tolerance accuracy. 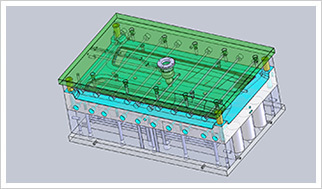 Further information on the mold-making capabilities of Noble Precision can be obtained by visiting our Mold Making page. For accurate molds that will lead to the production of high-quality and high-tolerance parts and components from your injection molding processes, call the mold-making specialists at Noble Precision at 647-499-7569 or contact us to arrange a no-obligation consultation.